Japanese firm Daiichi Sankyo told the Supreme Court Thursday that former Ranbaxy promoters, Malvinder and Shivinder Singh who owe it Rs 4,000 crore, have diverted funds despite several orders asking them to maintain their stakes in Fortis Healthcare Ltd.
A bench comprising Chief Justice Ranjan Gogoi and Justices Deepak Gupta and Sanjiv Khanna reserved order on Daiichi's contempt plea against the former Ranbaxy promoters and others. Senior advocate F S Nariman, appearing for Daiichi, alleged that the Singh brothers diverted funds despite several orders by the Supreme Court to maintain their stake in Fortis Healthcare Ltd. He said that they reduced their stakes in Fortis Healthcare Holding from more than 40 per cent on August 11, 2017 to less than 1 per cent now. The apex court had earlier expressed displeasure at the replies of Malvinder and Shivinder to its directive to submit a plan for paying Rs 4,000 crore to Daiichi Sankyo, as awarded by a Singapore tribunal. It had threatened to send them to jail if found that they have violated the apex court's order. On March 14, the Supreme Court asked them to submit a concrete plan for paying Rs 4,000 crore to Daiichi Sankyo as directed by a Singapore tribunal and had asked them to consult their accountants as also financial and legal advisors and apprise it by today. The bench considered the submissions of the lawyers representing Malvinder and Shivinder on their plans to give money for honouring the arbitral award. "Their nearly Rs 6,300 crore has been siphoned off by some 'baba'. These children have been duped," Kapil Sibal had said, adding that let the properties of the contemnor be sold under the instruction of the court. 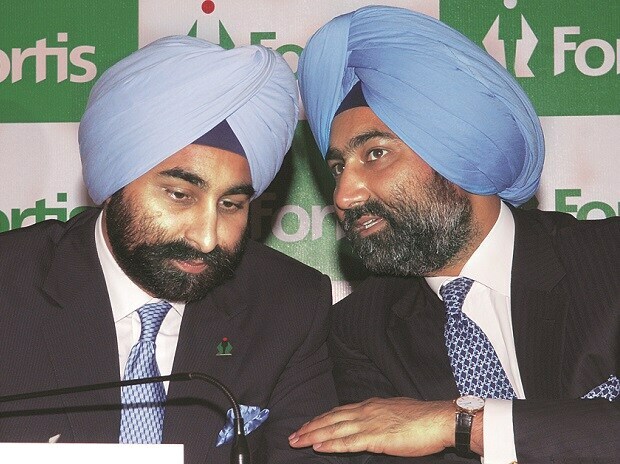 The Japanese firm has filed a contempt plea against the Singh brothers, saying that it was promised some shares of Fortis Healthcare by them and sought the recovery of Rs 3,500 crore as directed by the tribunal. The top court, on December 14 last year, had ordered status quo with regard to the sale of controlling stakes of Fortis Healthcare. Daiichi had bought Ranbaxy in 2008. Later, it had moved the Singapore arbitration tribunal alleging that the Singh brothers had concealed information that Ranbaxy was facing probe by the US Food and Drug Administration and the Department of Justice, while selling its shares. Daiichi had to enter into a settlement agreement with the US Department of Justice, agreeing to pay USD 500 million penalty to resolve potential, civil and criminal liability.